Specializing in residential transactions, Claudia's real estate team focuses on assisting Buyers, Sellers, & Investors across Escambia & Santa Rosa Counties. Claudia is well-connected and a trusted professional within the local real estate industry. 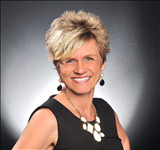 Claudia has served on the Associate Leadership Council for the top 20% of real estate agents at Keller Williams Realty, and she has generously given her time to numerous committees at the local level. SCHOOLS in Pensacola Escambia County and Santa Rosa County. Choose locations that have some of the best school report cards. Montessori of Pensacola, Marcus Pointe Christian School, VIEW ALL PRIVATE SCHOOLS. How do I file for Homestead Exemption? Remember to file Homestead Exemption before March 1 of each year. Escambia County Property Appraiser and Santa Rosa County Property Appraiser. for Pensacola and surrounding areas. Located just east of the Alabama/Florida state line, Pensacola, Florida is a thriving city from the gorgeous coastline along Pensacola Beach, to the rivers, bays and natural setting in north Pensacola. There is truly something for everyone in this beautiful city. Shopping and dining opportunities about across Pensacola, from fresh seafood, to international favorites. Additional attractions include the famed Naval Aviation Museum, the Pensacola Bay Zoo, Margaritaville Theme Park, and of course Florida's most beautiful beaches. The arts and cultural areas are some of the things Pensacola natives are particularly proud of, boasting year-round diverse venues in ballet, opera, symphony, theatre, and an accredited museum of visual arts. The Pensacola Bay area is the perfect place to get back to nature with national and state parks. Snorkel to see sand dollars, starfish, crabs and fish. Join a ranger-led nature tour at Gulf Islands National Seashore to explore life in the brackish marshes or hidden in the shade of tall pines and gnarled live oaks. Hike or bike along the Nature Trail. Canoe, kayak or tube down the spring-fed rivers, and go bird watching during spring and fall migration. Pensacola offers a variety of opportunities if you like outdoor sports like fishing, hiking, hunting, running, golf, or team sports - there is always something going on in Northwest Florida. 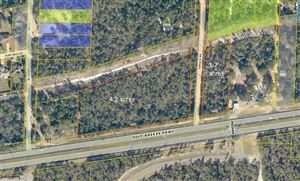 If you are looking for Gated Communities you can search for homes for sale in Nature Trail in Pensacola Florida. The Nature Trail Community features a 6,000 sq. ft. Lodge (Community Center) with swimming pools, tennis courts, playground, fitness center and 5 miles of walking trails through 400 acres of Conservancy Land that surrounds the development. Convenient to I-10 and to entertainment and shopping, this gated and guarded community is a great place to live. Homes for sale in Stonechase located in Pace, Florida is a community featuring home sites with homes ranging from Patio homes priced from $170,000, to Estate homes with prices starting in the mid 200,000. This neighborhood is located in Santa Rosa County and conveniently located just east of Pensacola with easy access to Highway 90 and Interstate 10. The upscale community host a gated entrance, sidewalks and parks. This community offers the country lifestyle but only minutes to hospitals, schools and downtown Pensacola. Homes for sale in Stonebrook is a Gated Golf Community in Pace Florida with homes surrounding an 18 hole gold course in Santa Rosa County. There are a variety of homes that will suit any lifestyle and a highly sought after neighborhood. You have two tennis courts, beautiful lakes with fountains that adorn this esqusite community. High and low handicappers alike find happiness at Stonebrook Golf Club. With elevation changes, uncommon for this area, elevated tees and greens and picturesque fairways and water features, Stonebrook is considered the premier golf facility in the area. Recently, Stonebrook Golf Club and Tanglewood Golf and Country Club combined forces to offer you great golf at affordable prices. Homes for sale in Ashley Plantation in Pace Florida is great community that host home builders like Thomas Homes, DR Horton and other great builders. Another urban development hosting new construction at affordable prices. 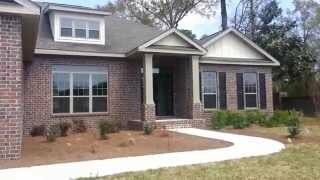 Homes for sale in Tamrell Forest another Thomas Home subdivision located in Pace, Florida. 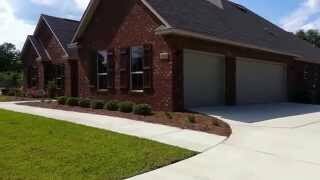 Homes for sale in Pensacola Eleral in Beulah in Pensacola Florida with Thomas Homes new construction. Locate Schools and Report Cards here in Escambia County and Santa Rosa County. Escambia County Property Appraiser and Santa Rosa County Property Appraiser. Remember to file Homestead Exemption before March 1 of each year. Contact me with confidence, someone with Integrity and Honesty to serve you and all your Real Estate needs. I offer these services on this site for FREE and without obligation. I want to be YOUR real estate expert and your Neighborhood Specialist. As your trusted, professional real estate partner, I will help you find the best home in your area within your price range. One thing to be aware when looking at new construction is that the Builder Agent works for the Builder not YOU the Buyer. You want someone licensed and insured on your side to get all the incentives that are not disclosed to you. Also, if a cash discount is offered to you not have an agent that cost is already factored into the home so you are not saving money and you have no one on your side to ensure you getting your Good Faith money back. Keller Williams is #1 in the Industry and we protect the interest of our customers to ensure the best customer service.Get a Aggressive Negotiator for FREE. I am also a selling agent that will sell your home for as much as the market will bear, and as quickly as possible. I have a great track record for getting listings sold and I am a Full Time 24/7 Realtor that assists with finding you the perfect lender to suite your needs, helping you with insurance, tax information and I even have a Credit Repair Business that can fix your credit to get you in your Dream Home. Claudia Magilke \\ Keller Williams from Movement Mortgage on Vimeo. 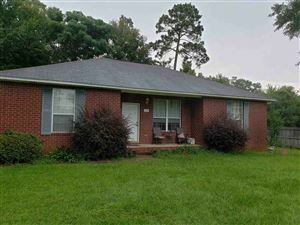 Pensacola listings last updated Apr 25, 2019 11:22:am.